We have noticed that the number of users on our website has increased and is still increasing, and we have a lot of interesting content within the Wiki. However, we understand that sometimes it can be difficult when looking for specific information and so we will regularly upload step by step blog post tutorials to give you guys a hand with that! With all the different fiberglass shells in our marketplace, it’s important to be able to distinguish between each colour, especially the ones that are similar. To someone who may not have as much knowledge in Eames products, it can be difficult to know what colour you are looking for as there are so many things to take into account. They all look similar in terms of the shade of colour, but they are all different due to their rarity and desirability. This can significantly impact the price so it’s important to know exactly which colour it is that you are wanting. 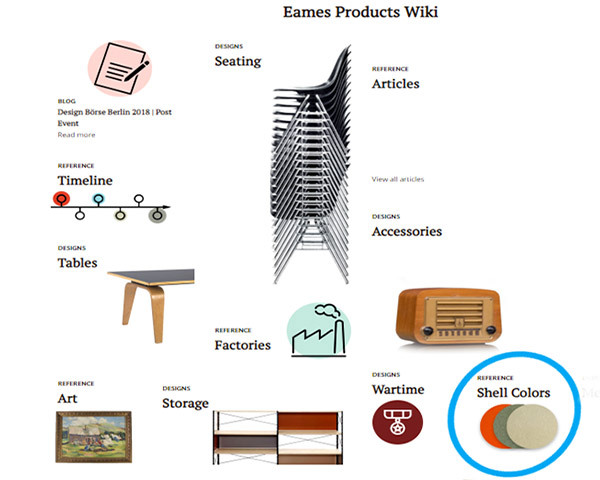 Our Wiki pages are designed to not only assist you in your knowledge seeking, but it also provides information on factors such as pricing, rarity, desirability, generation and just more in-depth knowledge about Eames product. Although our sellers sell “Chairs” within our marketplace, we want to break it down and provide more information to you, rather than just stating the obvious. For example, we will tell you whether it’s a fiberglass shell chair, RAR, DSW, Lounge Chair, Office Chair or even a Chaise Longue. Furthermore, we know it’s hard to consume all of this information, especially if you are only in our marketplace to buy one product, and as a result, we have tailored our Wiki pages so you can quickly and conveniently find the section you need. We have broken it down to factors as small as ‘Colours’ and ‘Labels’ because although they might not be the most common thing people seek knowledge about, we want to have it there for you guys, just in case you do need it! The next part of the blog post will take you through step by step guides on how to access the different parts of our websites. In this case, the shell colours in our Wiki section. This will not take any more than 3 easy steps! That’s how quick it is to use our website. 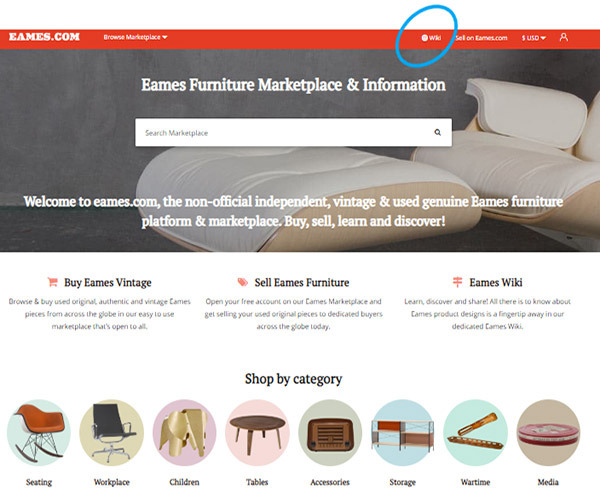 Once you’ve made your way onto Eames.com, across the red toolbar strip on the top of the website, towards the right there will be a small icon where it states ‘Wiki’. Depending on the device that you are using, if it’s a computer or laptop, the icon will be visible without you having to do anything. However, if you have a mobile or tablet device, you may have to click the drop-down menu, which will then enable you to see the ‘Wiki’ icon. 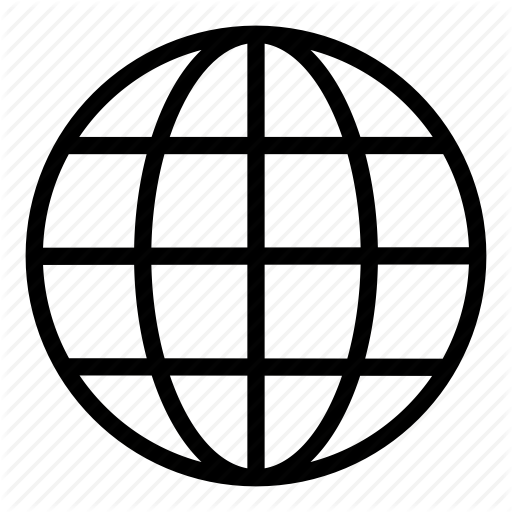 Once you have made your way to the wiki page, you will see a variety of item sections where we offer information about a particular piece or feature about a product. This section not only provides information about products within our marketplace, but also it contains sections where other references are talked about. For example, there is a segment where 'Timeline' is discussed. The timeline of products and important parts within the history of particular Eames products. In this case, scroll down towards ‘Shell Colors’ and click, in order to view the shell colors segment. 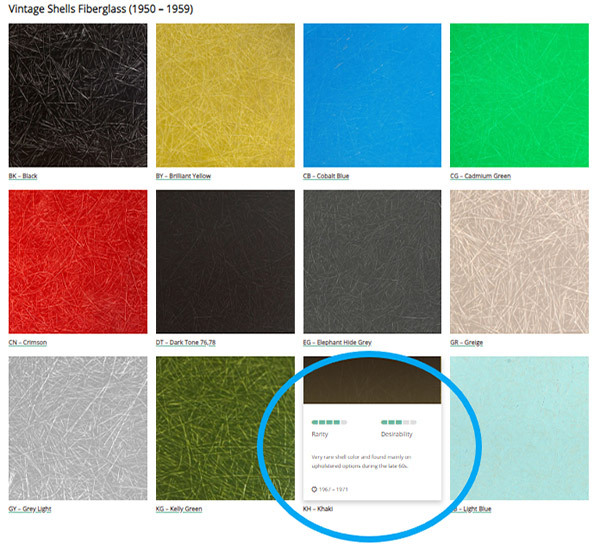 Finally once you have made your way to the ‘Shell Colors’ page, you will find that we have explained in detail, the history about shell colours and where some of the colour selection ideas originated from. This consists of dates as well as facts and figures which is pretty interesting! So don’t forget to take a read. If you then scroll down, you will find over 50 different colours for each shell which is pretty amazing. So if you are looking at a specific coloured fiberglass chair from our marketplace, the colour you are searching will definitely be amongst all of the following options. Once you find the colour that you’ve been looking for, you can read a brief description of it, while looking at the rarity and the desirability of the colour. And that’s it! We will be doing more blog post tutorials like this one, just to show you guys how to navigate yourself around our website, whether you are using the marketplace, purchasing, selling, looking for particular information in our Wiki and more. So stay tuned! Follow us on our social media platforms to get regular tips on how to make the most of the features on our website! Links are at the bottom of the page.